This week we learned that Resolute has taken the Silver at the Best in Biz Awards – North America for Most Socially or Environmentally Responsible Company of the Year. Earlier this year we also won a Bronze in the international division of the same competition – this time, the award is for Canadian and U.S. companies. We’re particularly proud to have won a Best in Biz Award because it’s the only independent business awards program judged by members of the press and industry analysts. This is the fifth annual program in North America and this year the highest number of submissions to date were received. There were more than 600 entries, from a wide array of public and private companies of all sizes and from a variety of industries and geographic regions in the U.S. and Canada. Winners of Best in Biz Awards 2015 were determined based on scoring by an independent panel of 46 judges from highly respected newspapers, business, consumer and technology publications, radio outlets, and analyst firms. How we reduced our carbon footprint and surpassed our World Wildlife Fund® (WWF®) Climate Savers commitment two years ahead of schedule. How we reduced energy consumption, switched fuels and eliminated coal use from our operations. How 70% of the energy we use comes from renewable sources. Awarding Resolute the Silver recognition was also based on our world-class safety performance; commitment to 100% woodland certification; transparency of our sustainability reporting; paving new ground with our innovative partnerships with First Nations and Aboriginal peoples; community outreach; and decline in environmental incidents. 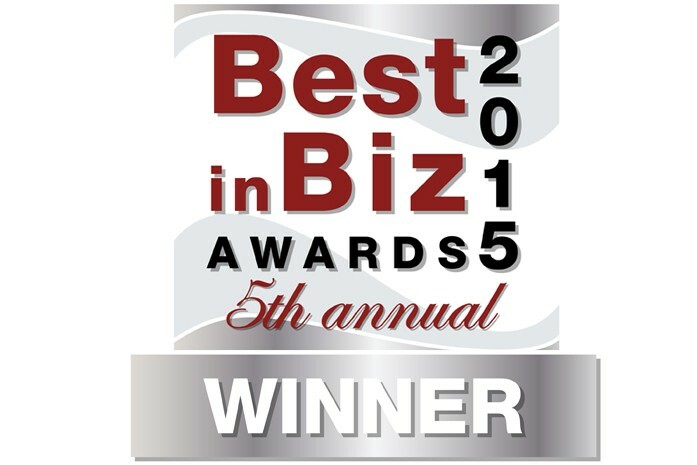 Receiving this latest Best in Biz Award is a great way to finish a year that included being named a Gold Stevie® Award winner in the Health, Safety & Environment Program of the Year category of the International Business Awards, having a team named to Canada’s elite Clean50, and winning The New Economy magazine’s global Clean Tech award for our 2014 work. Working on sustainability solutions brings its own rewards, but it’s always a great honor to see our efforts recognized by our peers.